Aki Bergen, born Simone Bocchino, is the most notable alias of an Italian producer and DJ also known as Neuroxyde. Bergen has had a burning passion for techno since the age of 14 and in his long and storied career has sold hundreds of thousands of singles and has collaborated with artists of worldwide repute such as Shara Nelson of Massive Attack, Dubfire, D.O.N.S. and many more. A true master of his analogue gear, Aki has contributed an acclaimed pack of vintage hardware driven sounds and loops for producers encompassing everything from house to techno via electronica, such is his natural talent in the studio. 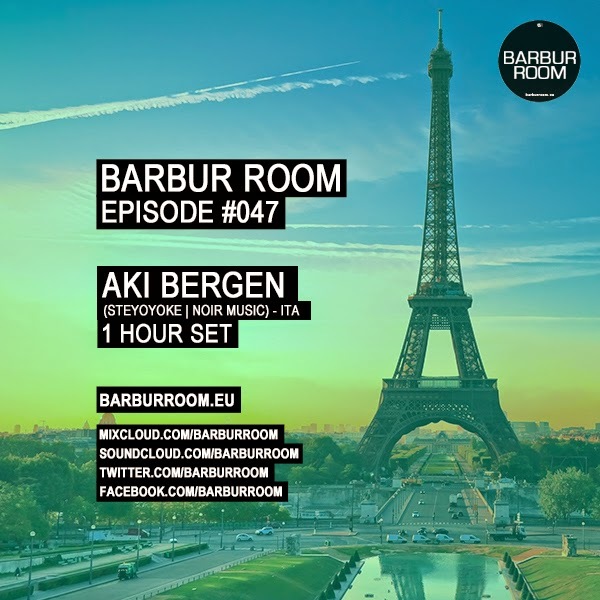 The Aki Bergen alias is a deep house project that has seen the man produce for esteemed labels like 1 Trax, Great Stuff and Noir Recordings, amongst others. After first assuming the moniker, Aki Bergen found his tracks topping many Beatport charts, with his remix of Doomwork “Lost In Memory’ named the 2nd Best Deep House Track at the Beatport Awards in 2010. It wasn’t long before international stars like Danni Minogue, Ralphi Rosario, Oscar G, Milton Jackson and Goldfish all came calling for collaborations and remixes. Bergen has also run his own label since 2008. Entitled Neurotraxx, it continues to release a fresh line of underground house sounds from the likes of Jay West and Djuma Soundsytem, whilst Aki himself continues to play around the world at lauded clubs across North and South America, Europe and the Middle East.